We think good design is the best form of marketing. It is helpful for businesses and marketers, who have long relied on traditional marketing communications, to consider new avenues of engaging your audience. If you have been sensing that the usual suspects – ‘key visuals’, taglines, graphic posters, brochures, shelf talkers, and advertising videos – have become the baseline, you are spot on. Amidst the plethora of visual media – offline or digital – it is exceedingly difficult to stand out and be memorable. To stay ahead, we think it is pertinent and timely, to be more engaging, more experiential, and more authentically tangible. The audience of today is fatigued of the polished sales copy, the utopian visuals that tell us what our lives should be like, comparison charts, and the typical ‘Photoshopped’, simulated dramatization of product features and benefits. Instead, we look for authentic proof, in-person experiences, and quieter brilliance. These are brand experiences that deliver a tangible encounter through which the values of the company can be felt, and the craft behind its products is revealed. There is a growing disdain for media that superficially professes benefits and brand values and tries to convince us about what we should feel. To this end, marketing, brand activation, and retail demonstrations need to go beyond the usual. 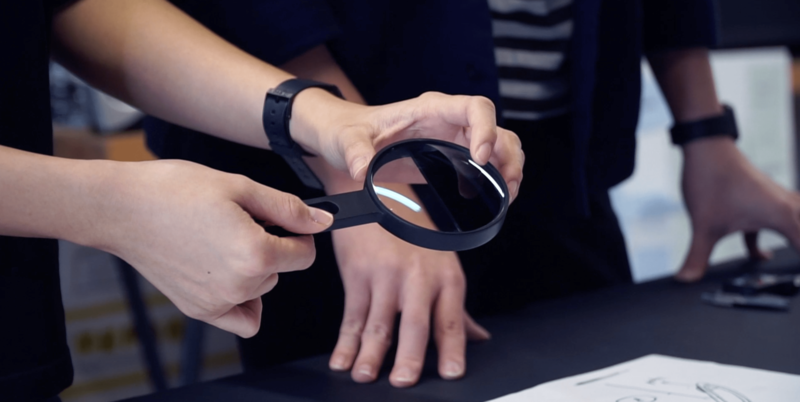 One transformation already on the horizon is found by tapping on multidisciplinary teams who excel at combining well-considered physical object design, human interactivity, and user experience to compose bespoke encounters for consumers. Such creatives also need to be fluent with the sciences and tech-engineering and also have a skillful grasp on spatial contexts and business constraints – if you want your solutions to be relevant, cutting-edge, and timely. This is an elusive combination of expertise not usually found in an individual but in a carefully built team with diverse members who can cross their domains synergistically. Ideally, the trans-disciplinary endeavor enables the identification of good opportunities that are between – or because of – multiple domains, fuels the envisioning of beautiful, human-centered and business-aware solutions, and provides the expertise to implement economically for impact and scale. Now, if you’ll pardon us peddling our craft, at STUCK Design, we have been applying our multi-disciplinary team to creative marketing efforts since Samsung’s Product Innovation Team first suggested that we use our mixed skillsets for experiential marketing ideas for their products. It was refreshing and unusual that they came to us – mostly industrial designers at that time – to do marketing concepts instead of going to advertising firms. We were fortunate that the Samsung innovation team had the foresight to spot this match between our capability and the new opportunities in marketing, and that they took the risk to hire us for such work. For this, we are immensely grateful, because this area has since grown to form a quarter of our business today. We think that a mixture of deep specializations in industrial design, interaction design, user experience, design ethnography, and technical tinkering will be a major force in the marketing landscape in the imminent future. In the video above, we demonstrate how brand activations and experiential marketing demonstrations become effortlessly engaging and elegant when you leverage our deep specializations in physical product design, interaction design, and user experience research. 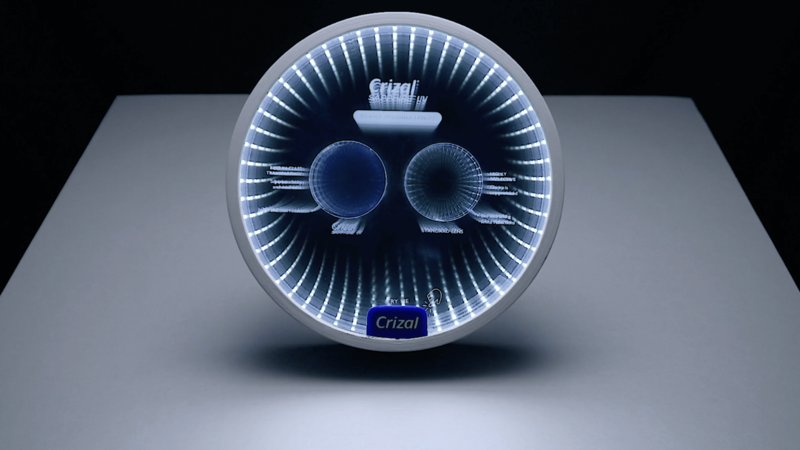 We share the thinking behind a recent collaboration with Crizal on their Sapphire eyewear lenses. These breakthrough lenses have an unprecedented ability to suppress glare and reflections from 360 degrees around the wearer. They also have remarkable cleanability, stain resistance, and durability. 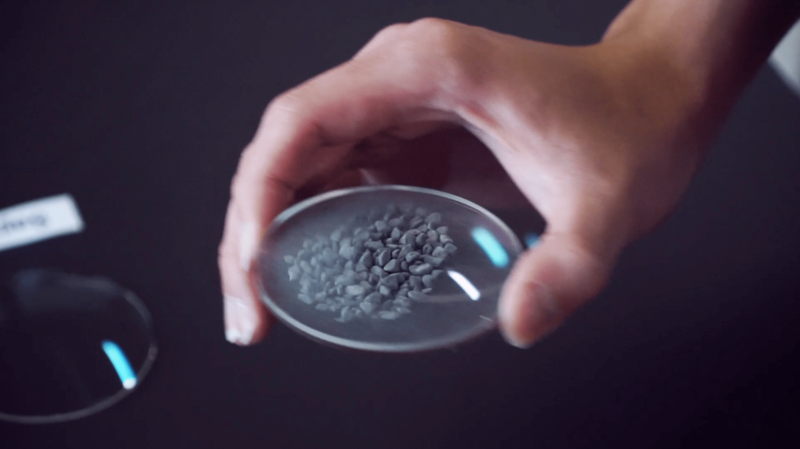 Through design and material and optical experiments, our goal was to tangibly manifest the performance of the Sapphire lens – so that its invisible, industry-leading qualities are made visible to consumers without simulated representations.